It is always fascinating when we switch from our old iPhones to a brand new iPhone packed with numerous new and astounding features. Now, the first thing that clicks your mind when you unbox your new iPhone is, 'how to get text messages (or other data) from another iPhone'? Well! We can understand your situation and hence, have brought to you different methods with their step by step tutorial to make you understand how you can easily get text messages from another iPhone along with other data. Let's discover them now. Well, before moving on to discovering the methods and their respective tutorials, here are some of the scenarios where you may have the urge to get text messages/other data from another iPhone to the new one. You have switched your old iPhone to a new one and may require transferring all its data (including text messages) to the new one. Your old iPhone is not working properly and you wish to submit it to Apple Store for repairing. Here comes the need to transfer all the text messages from the malfunctioning iPhone to the other iPhone in order to safeguard your data. Your old iPhone has been victimized by the malwares or spywares and now, you are only left with the option of formatting your device to get rid of this troublesome situation. You may then require transferring all your important text messages along with other data to the other iPhone to safeguard it from data loss. You may wish to have another copy of all your text messages that may include your business related information or your other important information that you do not wish to lose. Part2. How to Get Text Messages from iPhone to iPhone? Enough of the talking now, it's now time to learn about the different ways via which you can easily get text messages from iPhone to another iPhone. Let's understand about them. 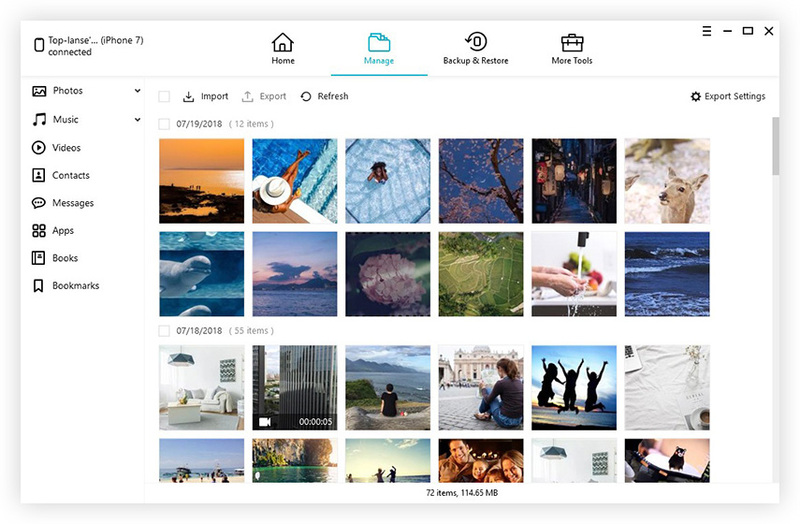 Thought, the iTunes and iCloud are the standard mode of data management solutions provided by Apple, they do lack in functionalities and flexibility. For instance, overwriting issues or not allowing you to selectively transfer your data and more. Tenorshare Phone to Phone Transfer is the recommended solution when it comes to how to get text messages from iPhone to iPhone. Tenorshare's Phone to Phone Transfer, not just enables you to transfer your text messages/data from one iPhone to the other iPhone selectively but also ensures that none of your data is lost during the transfer. Moreover, the tool supports almost all iOS devices running on iOS version 8 or above. Sounds good? 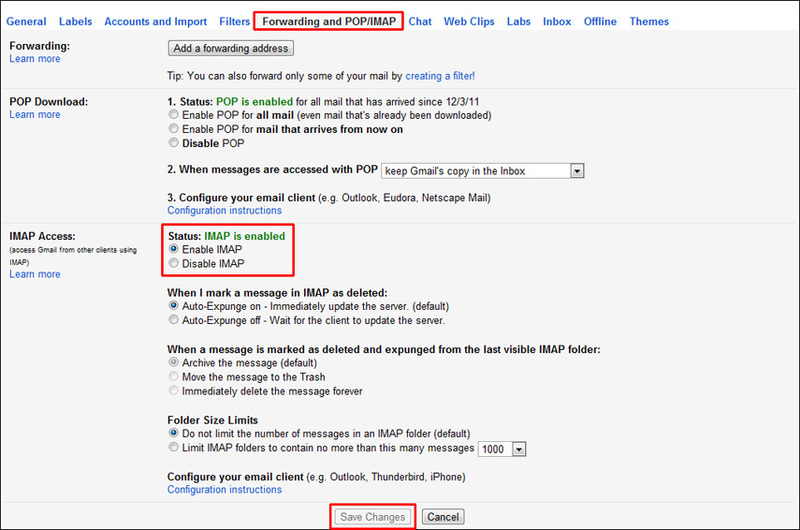 Let's now discover the tutorial for how to get messages from iPhone to iPhone via Tenorshare's Phone to Phone Transfer. Step 1 –Head to the Tenorshare's official website and get the software. Now, install and launch the program on your PC. Connect both old and new iPhones to the PC using the lightning cables supplied with them. You then need to set the "Source Device" and "Target Device" depending upon your requirements. Step 2 –Once you're done setting both the Source and Target devices, the software will begin analyzing data on your source device and the available storage capacity on your target device. Step 3 – Now, hit on the "Messages" checkbox section and then hit "Start Transfer" button to initiate the transfer from one iPhone to the other. Confirm you actions and you're done. iTunes, the standard data & iPhone management tool designed and developed by Apple, is the first method that we have on the list to help you in getting text messages from another iPhone to your new iPhone. Here is a step by step process to get text messages from iPhone to iPhone. Launch iTunes on your PC and get your old iPhone connected to it. Select the 'Device' icon from the iTunes' main screen and hit the "Summary" tab. Now, tap on "Backup Now" button available under the Backup section to get your data on old iPhone backed up. Next, disconnect the old iPhone and grab your new iPhone, then connect it to your PC. Hit on "Summary" tab again and this time hit the "Restore Backup" button. Select the recently made backup from pop up window and hit 'Restore' again. Apart from iTunes, iCloud is yet another way with which you can get text messages from iPhone to another iPhone. iCloud is a cloud storage service provided by Apple to its users which they can avail to backup their data or settings from their iOS devices. Please note that iCloud only offers 5GB of cloud storage for free. First, you need to make backup of your old iPhone text messages. To do this, launch "Settings" on your old iPhone and then tap '[your name]' at the top. Then hit on 'iCloud' and turn on the 'iCloud Backup' feature. Lastly, hit on the Backup Now button to get you old iPhone backed up on iCloud account. Now, turn on your new iPhone and set it up in the usual way. When you reach the Apps & Data screen, you need to hit on "Restore from iCloud Backup" option. Select the recently made backup and that's it. Moving towards the end of the article we now hope that you are having apt knowledge of transferring text messages/other data from iPhone to iPhone using 3 different ways. 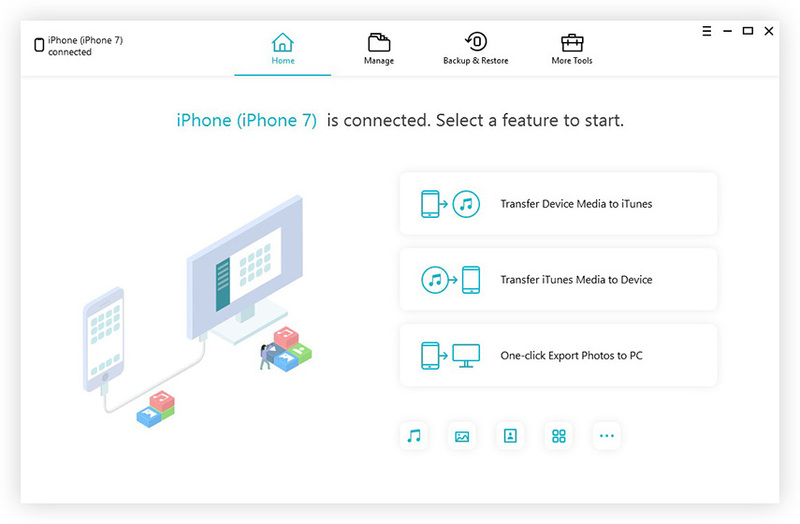 After having full understanding of the aforementioned, Tenorshare Phone to Phone Transfer has turned out to be the most flexible, fast, easy to use and efficient way to transfer the contents from one iPhone to the other iPhone. Moreover, with this mighty tool you do have to worry about the limitations that you get to experience while using other methods.